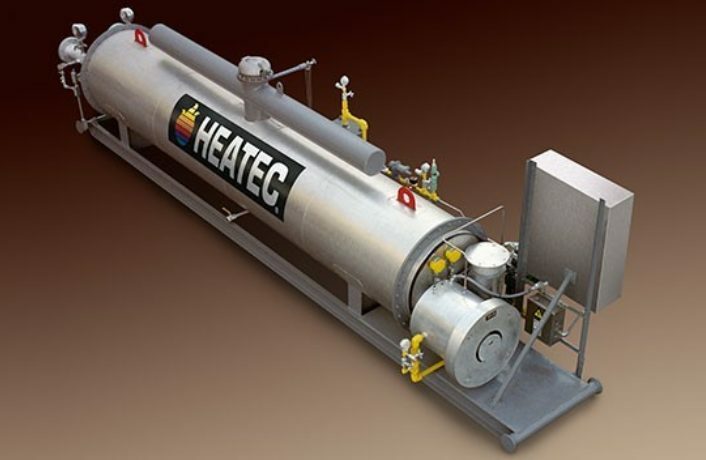 Heatec’s process heaters are designed to directly heat a fluid product as it flows through the heater. Heatec’s process heaters are designed to directly heat a fluid product as it flows through the heater. The product may be liquid or gas. Process heaters heat products directly whereas thermal fluid heaters heat media (thermal fluid) that in turn heats products or other equipment indirectly. Some have helical coils. Some have serpentine coils. Some have fire tubes. Some are vertical. Some are horizontal. Convection heaters are also process heaters. The coils of some process heaters have to be cleared completely after use. These heaters usually have helical heating coils and are in a vertical configuration to facilitate thoroughly draining the coils by gravity.